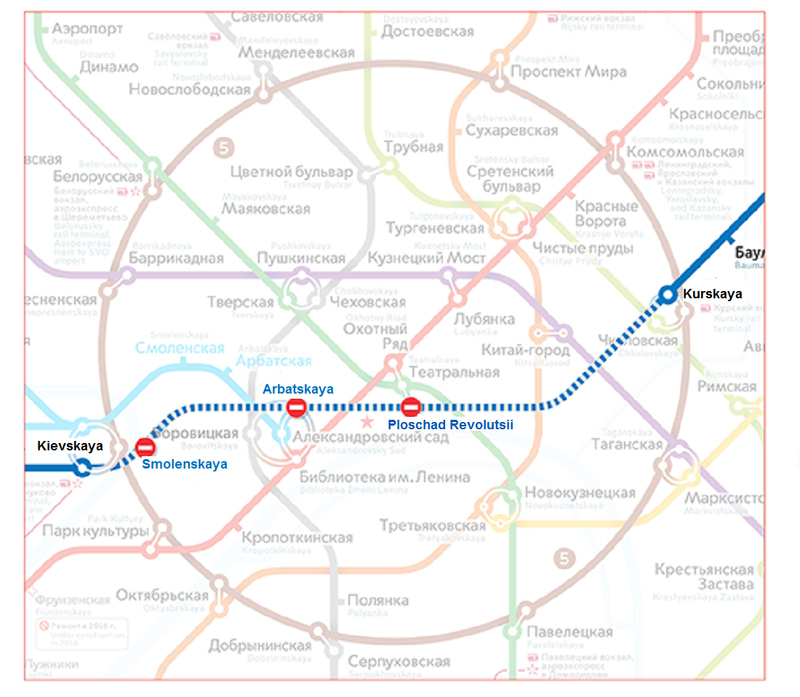 On the first May holidays, precisely from May 2 to 4, some stations of Sokolnicheskaya and Tagansko-Krasnopresnenskaya lines of the Moscow Metro will be closed due to preparation of the new stations openings. Thus, these days it will be impossible to use Prospekt Vernadskovo, Ugo-Zapadnaya and Troparevo stations. Universitet will be the terminal station of Sokolnicheskaya line. 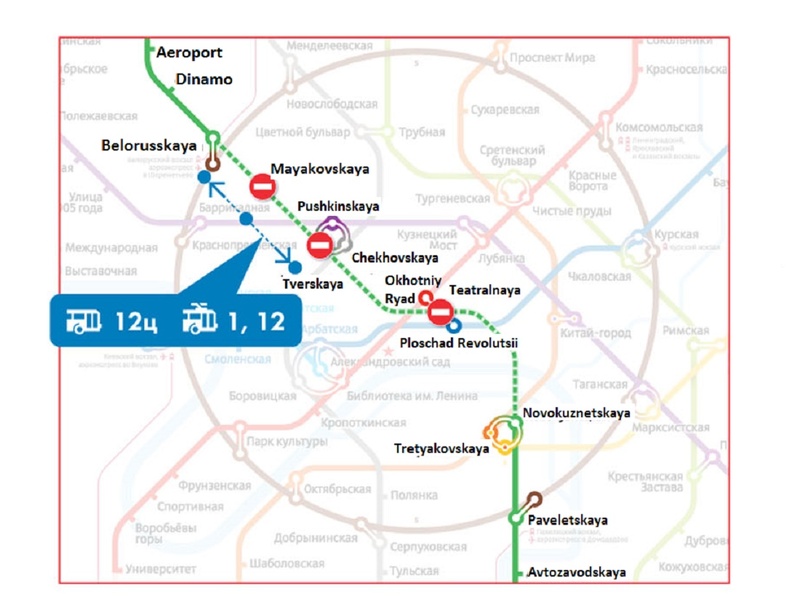 There will be organized a compensation bus M with stops at the closed stations. The stations will be close in connection with processing equipment of new stations Rumyantsevo and Salaryevo. Two stations of Tagansko-Krasnopresnenskaya line – Lermontovsky Prospect and Zhulebino – will be closed for passengers for only one day – on May 2. There will also work a compensation route from Vykhino metro station. These stations will be closed in connection with preparation of Kotelniki station opening. Besides, some central metro stations will work in limited mode on May 9. Thus, Teatralnaya, Ploschad Revolyutsii and Okhotny Ryad will work only for entrance. 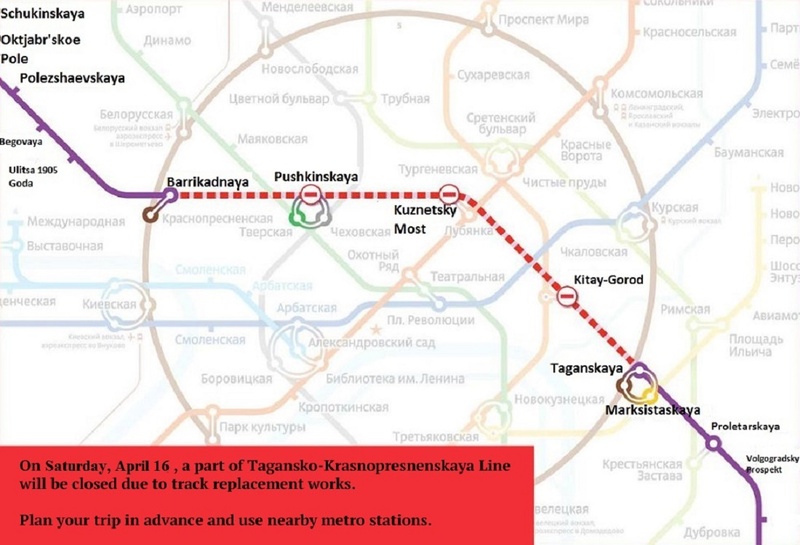 In addition, from 14:00 on May 9, exits from Tverskaya, Chekhovskaya and Pushkinskaya metro stations will be closed and Okhotny Ryad, Ploschad Revolyutsii and Teatralnaya stations will be blocked.